Sarah Schulz, Ph.D., LSW, assistant professor of psychology and director of the Master of Arts in clinical-community psychology program at Point Park University, was one of 13 individuals appointed to the City of Pittsburgh's Gender Equity Commission. The Commission is a new effort by the Pittsburgh City Council to conduct a five-year analysis on gender bias within the city. Learn more about the commission in the Pittsburgh Post-Gazette article "Pittsburgh City Council approves measure to fight gender bias." “I am excited for this opportunity to get involved with the Gender Equity Commission because it’s an important first step for the City of Pittsburgh to address gender inequities in education, health care, economics and public safety. The creation of a Gender Equity Commission indicates that Pittsburgh is committed to embracing the principles of CEDAW (The Convention on the Elimination of All Forms of Discrimination Against Women), a global treaty for women’s equality," explained Schulz. "It is my hope that the work that is being done by the GEC in Pittsburgh will positively impact the working conditions and educational experiences of women and girls within the city, which will also positively impact our students at Point Park University," Schulz added. 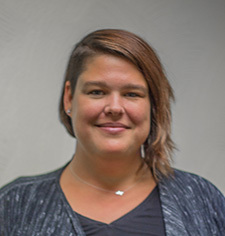 Schulz's research focuses on mental health, medical sociology and gender studies, with an emphasis on addressing barriers to health care faced by members of the LGBTQ community. Her research interests are grounded in more than 10 years of practice as a psychiatric social worker in a variety of practice settings. Prior to joining the Point Park faculty, Schulz worked as a high-risk care manager at UPMC’s Community Care Behavioral Health. She is a member of the National Association of Social Workers and a Licensed Social Worker in the Commonwealth of Pennsylvania. Through its Department of Psychology, Point Park University offers B.A., M.A. and Psy.D. programs in psychology and a B.A. program in behavioral sciences.